You have worked hard to secure a stable financial future and to protect your investments. Now it’s time to relax and reap the benefits of your years of hard work. Planning for your retirement is paramount and should begin as early as possible. The earlier you start saving in a retirement fund, the more your money will grow. While government retirement benefits may be available once you meet the requirements, it may not be sufficient to protect your wellbeing and maintain your lifestyle. Workplace pension funds are also usually available for those who have worked higher paying salaries. It is therefore imperative to have a retirement plan in place, to offset additional expenses when you no longer have a regular source of income. According to Statistics Canada, government benefits only account for 39% of the income of seniors (CBC News, 2013) and the maximum statutory allowances for single seniors living in Ontario can equate to $1,342.78 (Mojtehedzadeh, 2015). The increasing rates of poverty for seniors and in the use of foodbanks (CBC News, 2013), has further reiterated the fact that options need to be in place to adequately prepare for this time period. The rising cost of living and precarious employment has further increased the risk of homelessness for this vulnerable population. A recent survey conducted by the Canadian Payroll Association indicates that three-quarters of working Canadians surveyed, reported having saved less than 25% of the estimated income needed for retirement (CBC News, 2015). Saving for your retirement should begin from an early age. The earlier you start, the more your money will grow. With the rising cost of living and precarious employment, it may be difficult to put money aside but a My Insurance Broker adviser can work with you to provide you with options on how to adequately prepare for your retirement. A life annuity provides you with a regular source of income after you have retired, for as long as you live. A contract is usually signed with your life insurance company that guarantees the annuitant (person who receives the benefit payments), steady income payments during the retirement period. Annuities have two phases, an accumulation phase and a payout phase. In the accumulation phase, you make regular contributions to your annuity while you gain interest. In the payout phase, your investment is returned to you in the form of regular payments. The size of your payments depends on how much you have invested over a period of time. Hence during the retirement period, you will be able to profit from the capital invested, in addition to the interest garnered. Annuity plans are flexible and can also offer some of the features of a life insurance policy. Individual annuities can be obtained for retirement purposes, or for a fixed period of time, depending on the individual’s budget and preferences. Why choose a life annuity over another form of investment? A life annuity provides you with a guaranteed source of income after retirement for as long as you live. Although income earned from investments in stocks or bonds for example, may serve as “accumulated capital”, the investor is still tasked with the quandary of how to reinvest this amount for their retirement and may be faced with diminishing returns, due to falling interest rates. With annuities, you have a structured plan where your payments are levelled and guaranteed on a monthly basis over the course of your retirement, and interest rates are proportioned at a higher rate to meet your needs during the earlier years. In addition, if you are tempted to diminish the capital invested due to the high cost of living, this could also have an adverse effect on interest rates received. Life annuities are designed to resolve these problems and provide many options, which are tailored to meet the needs and resources of different individuals. An added advantage of a life annuity is that in comparison to other financial products, life annuities offer creditor protection for your beneficiary. Depending on your needs, annuities can be purchased on an immediate or deferred basis. An immediate annuity is often purchased by individuals who have accumulated capital and are at the point of retirement. They are usually purchased with a lump- sum payment and payouts usually begin one period after the annuity has been purchased either on a monthly or annual basis. Income payments under a deferred annuity usually begin at the time of retirement and can be purchased using a single premium or by installments, before the payout phase. Deferred annuities usually have a cash value (equivalent to the premiums paid) and provide for a death benefit if the annuitant should pass, before receiving income payments. The owner of the annuity can also take out loans on the annuity, unless registered as an RRSP and can use the accumulated value as collateral. Deferred annuities give you the added advantage of receiving your income payments earlier or later than previously specified, depending on your life circumstances. You can also register your life annuities as a Registered Retirement Savings Plan (RRSP), with certain conditions. Annuity plans can be tailored to suit the individual’s needs and preferences. Annuities differ in terms of when benefit payments begin, how they are purchased, how long the payouts will continue, whether the annuity is payable to more than one person and if benefit payments are fixed or variable. A life annuity is the best option for someone who has already made accommodations for their family through a life insurance product, or who has no dependents. Other than a life annuity that provides you with a monthly or annual income after retirement until you pass, a life annuity with a guaranteed period allows for payments to be issued to a beneficiary if you should die a few years after your payouts have begun for example 5, 10 or 15 years. An installment or cash refund annuity allows for income payments or a lump sum payment to be made to your beneficiary if you should die before sufficient payments have been received, in comparison to premiums paid. A joint and last survivor annuity is often purchased by a couple and pays an income as long as either of the two survives. Benefit payments may vary for the surviving individual, depending on the contract. Payments under a variable annuity can fluctuate depending on how well your investment does. A minimum percentage of the premium paid is guaranteed. Typical investments include stocks in a company’s segregated funds. Speak to a My Insurance Broker Adviser about further options that are available to you. Banks and other financial institutions offer personal savings options depending on your needs. A regular savings account can be applied for, if your sole desire is to accumulate funds and build capital. Other options include tax-sheltered plans with higher interest rates such as a Registered Retirement Savings Plan (RRSP) or a Tax Free Savings Account. In order to start saving for your child’s education you can also explore the option of obtaining a Registered Education Savings Plan (RESP) which attracts grants from the government. An RESP can also be acquired through a My Insurance Broker. A Registered Retirement Savings Plan (RRSP) is a savings option used to accumulate funds for retirement. It can be obtained from a financial organization such as an insurance or trust company or other companies authorized to issue investment contracts. Individuals will be allowed a maximum contribution limit per year and will be able to carry forward any unused portion, allowing them to make up for years not maximized on. Money is deposited into a government-approved account which can also contain investment income from stocks, bonds, mutual funds or Guaranteed Investment Contracts (GICs). Earnings on investments are tax deferred until funds are withdrawn. Holders of RRSPs are required to withdraw their accumulated funds by the age of 71 and can be retracted in a lump sum, used to purchase a life annuity, or placed into a Registered Retirement Income Fund (RRIF). While funds placed in an RRIF may receive a further tax deferral and can be withdrawn in varying amounts each year, they will have to be withdrawn before the age of 90. RRSPs are ideal for individuals who expect a higher interest rate when money is initially invested than when withdrawn, as a result of its tax deferred nature. The Tax Free Savings Account (TFSA) was created to encourage Canadian residents 18 years or older to invest in a tax free savings plan to help facilitate their goals. 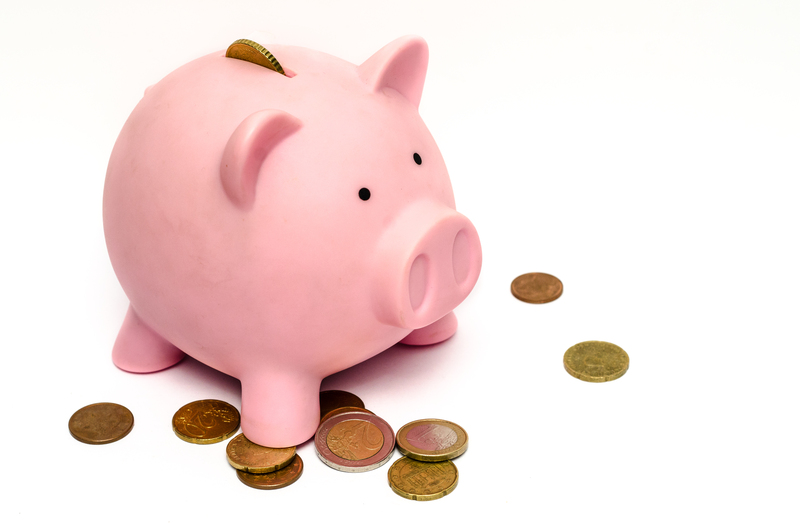 A contribution limit is set each year and savings can be withdrawn at any time. Interest rates are usually higher than those of a personal savings account and funds withdrawn can be replaced in the same year if it does not exceed contribution limits, or in following years. Like the Registered Retirement Savings Plan, the TFSA can contain other investment instruments such as stocks, bonds, and mutual funds. Interests, dividends and capital gained, are non-taxable even when withdrawn. As a result of its flexibility, funds accumulated in a Tax Free Savings Account are typically used to acquire purchases such as automobiles, homes or vacations. A Registered Education Savings Plan (RESP) allows you to invest in your child’s future post-secondary education from an early age. The amount you invest can vary according to your budget, as long as you stay within the lifetime limit per child. These contributions are also tax exempted. As an added advantage, the Canadian government issues grants to children under the age of 18, according to the amount invested, under the Canada Education Savings Grant (CESG) depending on your contributions. Once your child begins their post-secondary education, they will receive these grants, in addition to the accumulated capital and interests gained from your RESP account through Education Assistance Payments (EAPs) which count as income. If the beneficiary does not attend a post-secondary institution, the account holder has the option of transferring these payments to another child in the family, or transmitting these funds to an RRSP account under certain conditions. You also have the option of withdrawing funds in a lump sum. Whether you choose a personal savings option, a savings account that will give you a higher rate of return or an investment plan, being financially savvy is key to a brighter future. Start saving on a regular basis from an early age and start putting things in place for your retirement. Try to eliminate debts accrued as soon as possible, and remember not to spend more than you earn. Above all, have a financial plan in place for your retirement and stick to it! My Insurance Broker Advisers are experts in their field and can guide you along the right path to retirement. Reach us at (855) 482-5001.